Last time my cousin Kate come to visit us she showed me a new method of keeping the socks storage problem at bay. 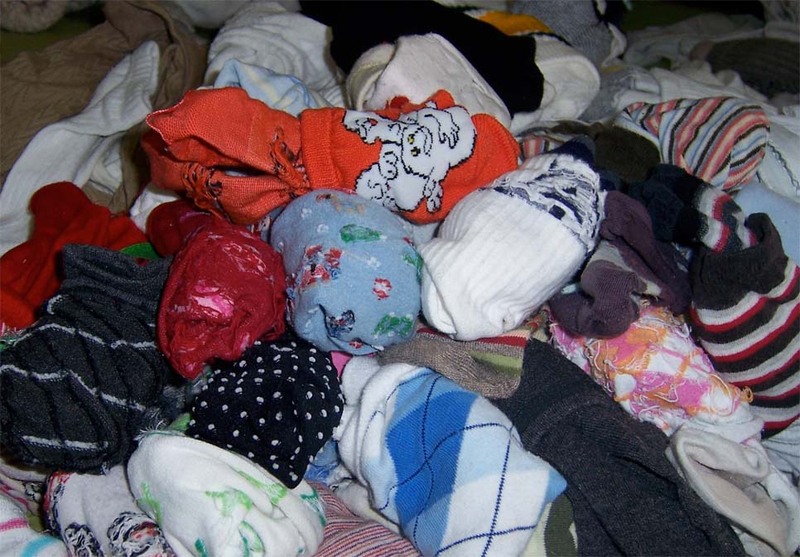 I have always complained that they are taking far too much space… yes, I know that the easy solution would be just to get rid of some of them but I love me socks and wanted to keep them all! 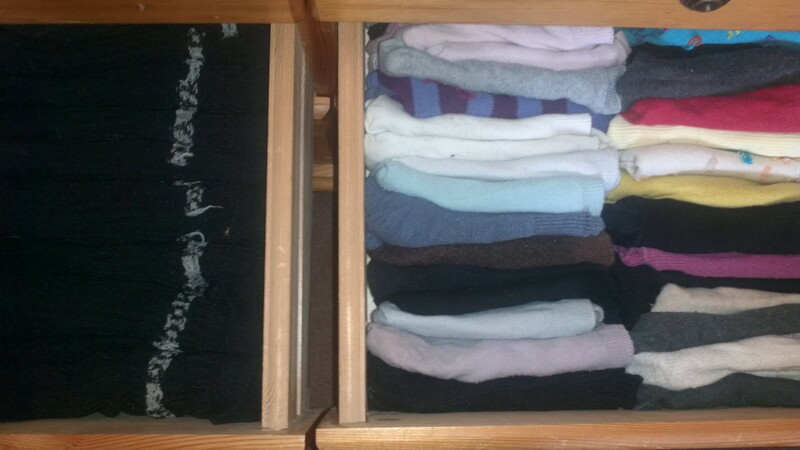 Now, I still have all my lovely socks and even some space in my drawer (sock shop here I come…). Most of the time I think that I know it all (as I do…) and that my way is the best and the only way (cause it is…) but how wrong was I in regards to my socks. Kate’s method is far better. 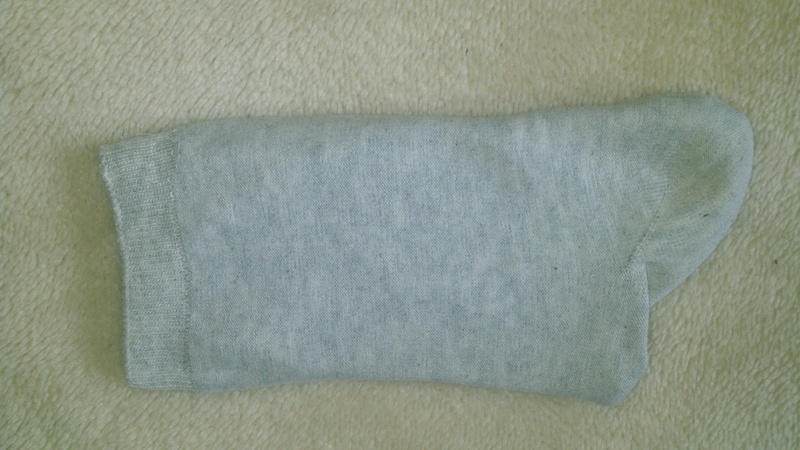 Her folding system gives you flat ironed socks as a result, which means that they take much less space once placed in the drawer. Once I re-made all our socks drawers Mark laughed at me and told me that this change isn’t going to last, he gave it 1 week tops. He was wrong! (again…) It is coming up for the 2nd month of keeping Kate’s system in place and I have no intentions of going back to my socks balls way. 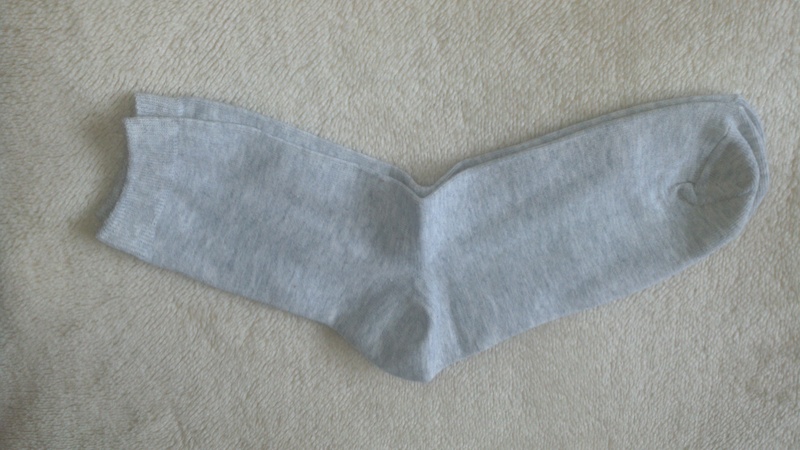 These easy to follow instructions will show you how to get nicely folded flat socks every time. This works with all socks, including huge fishermen’s one. 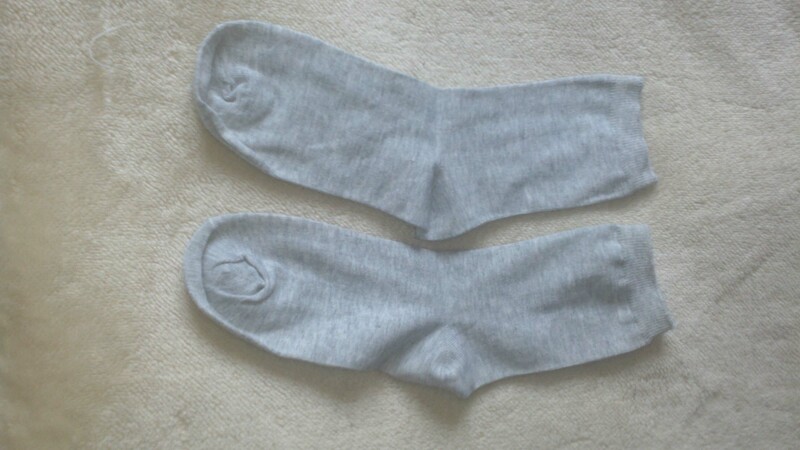 Depending on the size of your sock drawer, you may want to fold the large sized or very long socks over a few times, before folding them up all in one packet (I fold Mark’s biking socks over 3 times before I pack them in together). Have fun if you decide to re-arrange your sock draw. 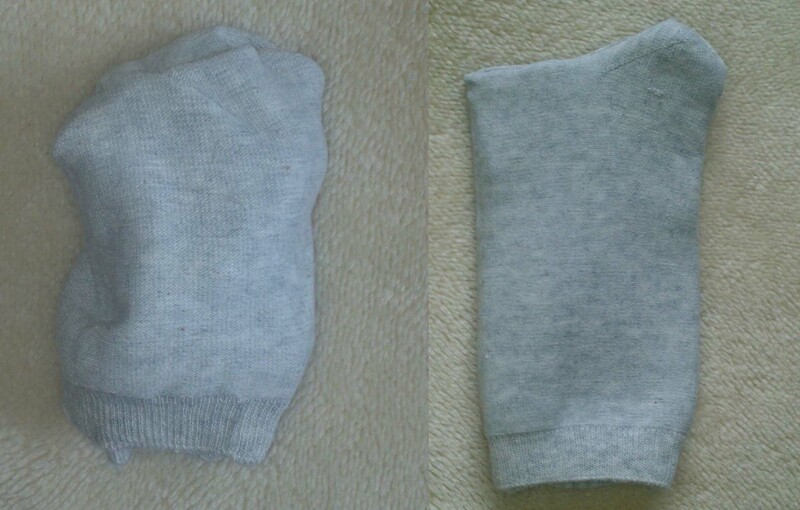 It is a boring process (if you have huge selection of socks), but once it is done, keeping it this way is very easy. 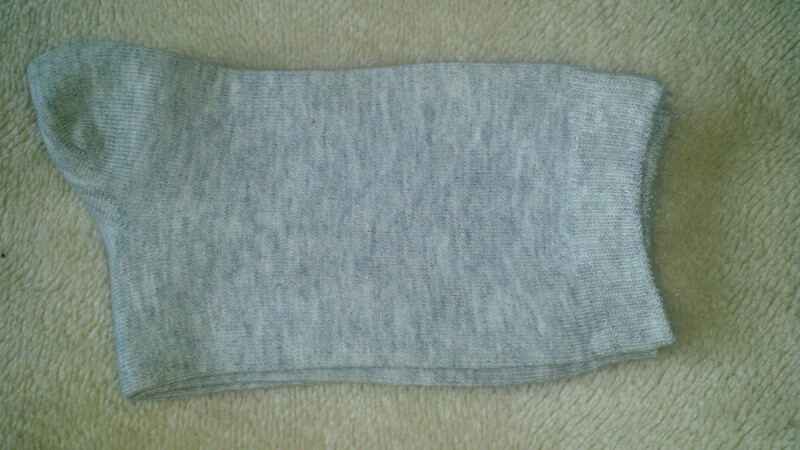 Or you can break yourself in gently by folding the new fresh washed socks in the new system and the old socks will be replaced as they are used. This method is also good for identifying any lurkers that you never wear, so you can discard them making even more valuable space. Hey great! I’m a sock-roller too – but this is much better! Thanks to you and cousin Kate.